Wisconsin’s Supreme Court has thrown out a legal challenge to the state’s domestic partnerships law. The law came into force on August 3rd, making Wisconsin the first mid-western state to pass such a law through legislation. Iowa allowed gay marriage earlier this year through a court ruling. The court has not given any reason for rejecting the case, leading gay rights opponents to believe they may successfully refile their challenge in a lower court. Anti-gay group Wisconsin Family Action brought about the challenge, claiming the domestic partnerships law is unconstitutional because it violates the state’s 2005 constitutional amendment banning marriage and civil unions for gays and lesbians. 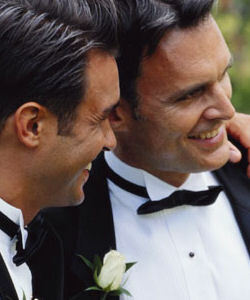 Domestic partnerships in Wisconsin give gay couples benefits such as hospital visitation, inheritance and medical leave rights. However, the law grants them fewer than a quarter of the legal rights available to straight married couples. The law was signed by Democrat governor Jim Doyle in June.